Its often difficult to implement some machine learning libraries and computer vision algorithms from scratch. Yes, I do believe in implementing from scratch, since the satisfaction of learning is remarkable, but when it comes to actually complete a task within short span of time or prototype a project’s feasibility issue, opting a library or API makes sense. Dlib is a collection of miscellaneous algorithms in Machine Learning, Computer Vision, Image Processing, and Linear Algebra. Most of the library is just header files that you can include in your C++ application. And if you are python programmer, no worries, it has python API as well ready to use. It is used in both industry and academia in a wide range of domains including robotics, embedded devices, mobile phones, and large high performance computing environments. When it comes to documentation, the functions and libraries are well defined in its documentation. Moreover, Dlib comes with more than 100 example codes, well commented, to practice all most all of its features stated above. I have been through I Image processing and Machine learning libraries, and they are actually very easy to use. Though, I personally feel that process of implementing some codes and algorithms are not so well described ( functions are described at best though), it might become cumbersome for beginners to go through all example codes, read between the lines to understand the process they need to undertake to implement algorithm. So with some series of posts on this blog, I will be discussing the process for implementing some algorithms for better understanding for beginners to this collection. 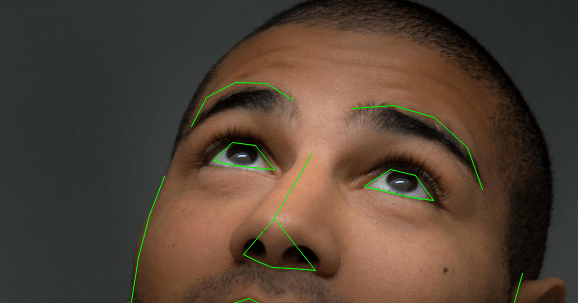 Facial Landmark detection and Face pose estimation. I assume that basic github commands and cmake commands are well understood. Still I will be pointing out important aspects if needed in between. You will observe that build folder will be filled with all executables to cpp files in examples directory. Do remember that the CMakeLists.txt exists in examples and not within build. Make a copy of an example cpp file, modify it, modify examples/CMakeLists.txt accordingly mentioned in txt and compile again using the instructions above. A sensible process to learn them in organized manner. That should compile and install the dlib python API on your system. 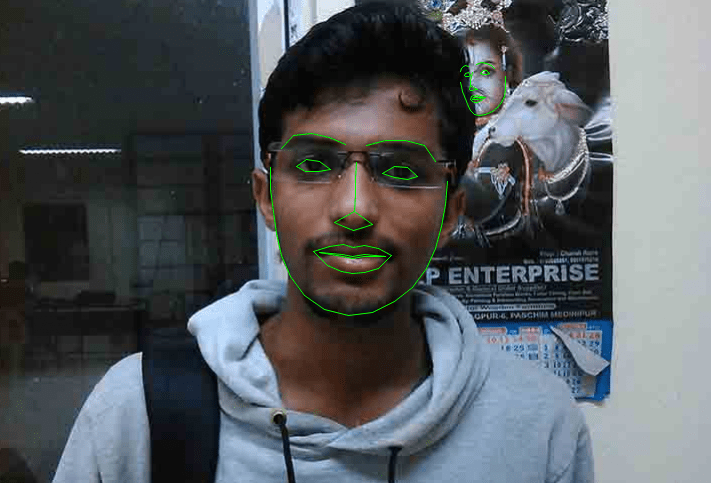 To get yourself elated by fact if you have successfully installed Dlib on your system, a short example for detecting facial landmark can be implemented. Beforehand be ready with your webcam connected to your system and its video id ( 0, 1, 2 or whatever it is). This tool is powerful that it works even under partial occlusions. Look at the example above. I hope this post helped to get known to Dlib, motivation for its use and installing it the easy way!